End of Green Week 2012! Please turn in your score by Monday July 2nd to be considered in the placing. Scores turned in later will still get badges, but won't be considered for top places. Ponies can see very long, wide and tall exhibit on the Town's Hall wall. It's mostly empty and blank. There are only few pictures and notes so far. On the bottom, there's silver sign with "From Varien Quill for Ponyville, with high regards." Once this was a grand temple built by Thunderball to honor Nightmare Moon after her glorious return. During its time of operation, it was a towering stone structure -pyramid shaped and ornately decorated. The roof was open to the night sky and in the center of it all was a stone statue of Nightmare Moon built by Marble Sheen. At the time, Thunderball would be seen meditating there quite often and now and again Sapphire Night a.k.a. Nightmare Jewel would pop in to terrorize somepony. 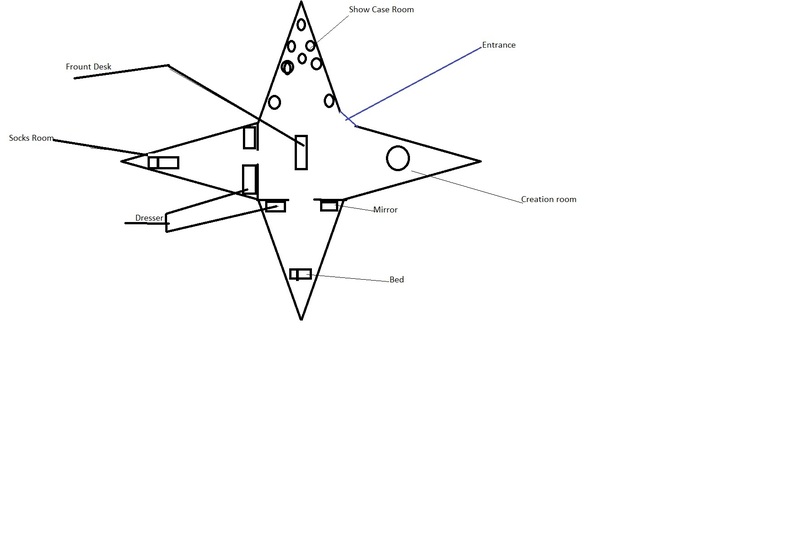 A small shop shaped like a four pronged star had been near the forest side of Sweet Apple Acres, not far from FlutterShy's Cotage, and close by the river. The building itself had being painted a black color with an amethyst colored trimming around it, the roof had a three foot black parasol over hang to black out the sun's rays from the inside. The windows had been stained a beautiful sapphire color, so the light on the inside would send the color to spread out over the trees still viable from the road way. Starting on the 18th this month, and going to, and includes 24th, an event is being held! The Green week waterfight! We all know it's getting a bit hot these June, so what better way to cool off than with a water fight? The water will however, be enchanted with green dye that will remain, even when washed, for the duration of the event! At the end of the week, the most green pony will be the winner of a shiny green badge to put on their profile. Due to dye! If your coat is already green, it will turn yellow instead! Professor White Wolf is looking to assemble an expedition into the Everfree Forest in order to unveil the mysteries behind the Temple of the Royal Sisters. Several ponies have joined, both historians and guides, but we are in need of guards to keep the expedition safe from monsters and other undesirable denizens of the cursed woods! Note that only applicants who have experience in defense and retreat from monsters should apply. This expedition is a scholarly one, not for pride or prestige, and we are more concerned for safety than trophies. All applicants should speak to White Wolf, who currently has a booth set up in the Hub for this very purpose.